Trainer Kris Lees is forecasting a “different” Miss Fabulass at her next start in the Darley Princess Series at Royal Randwick on Saturday week (15th September). At her first test in black type company and having only her third career start, Miss Fabulass finished sixth to Pure Elation in the Group 2 Furious Stakes (1200m) there last Saturday. Lees has excused the unplaced performance of triple Group 1 winner Le Romain, who was never able to get on the track from a wide draw with the rail 10m out when seventh as a $2.80 favourite to Comin’ Through in last Saturday’s Group 2 Tramway Stakes (1400m). 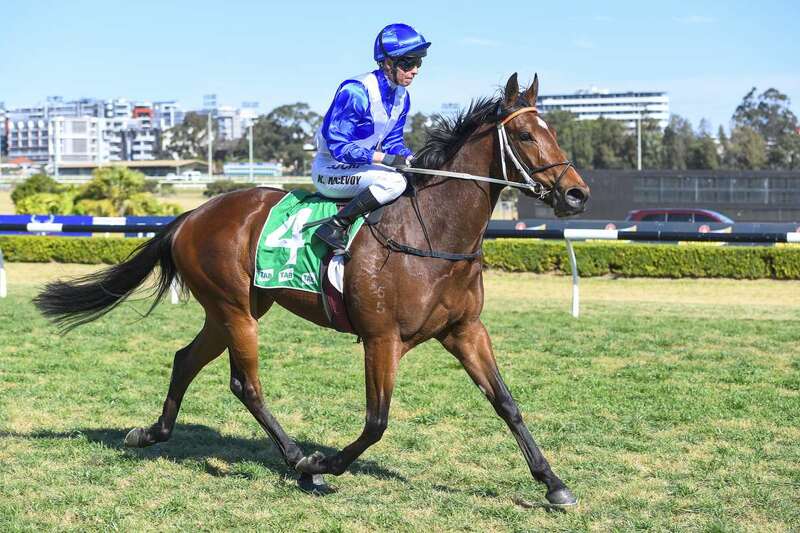 Lees is tossing up whether to start Le Romain next on his home track in Friday week’s $160,000 Group 3 Cameron Handicap (1500m) or take on champion mare Winx in the $500,000 Group 1 wfa Colgate Optic White Stakes (1600m) at Randwick the following day. “We’ll see what weight he gets in the Cameron, and then make a decision,” he said. Three-year-old fillies Reginae and Smart Melody are both in the mix to go to Melbourne. Reginae was an impressive winner of the Benchmark 74 Handicap (1300m) at Randwick last Saturday, backing up from a Kembla Grange breakthrough a fortnight earlier. Smart Melody maintained her unbeaten record by scoring on resumption in the Springtime Benchmark 74 Handicap (1100m) during last Friday’s Wyong Gold Cup carnival. Last Saturday’s Sunshine Coast winner Tactical Advantage is returning to Newcastle after landing the Class 6 Plate (1000m), with Lees yet to confirm his next appearance. Golden Rose Stakes joint-favourite Graff ($6 on TAB fixed odds) worked strongly on the course proper this morning in preparation for Saturday’s $200,000 Group 2 The Run To The Rose (1200m) at Rosehill Gardens. The unbeaten Star Witness three-year-old made a brilliant return by winning the Group 3 San Domenico Stakes (1100m) there on August 25. Jason Collett rode him then for the first time, and is back from suspension for Saturday’s assignment. Lees also nominated another of his unbeaten three-year-olds Gem Song for The Run To The Rose – but merely as a precaution. At this stage, he is definitely running in the Benchmark 76 Handicap (1300m) on the Kensington track tomorrow, with Glyn Schofield aboard. Lees is keen for Gem Song ($4.80 fav) to join Graff in the field for the $1m Group 1 Golden Rose (1400m) at Rosehill on September 22, but concedes he needs to win tomorrow to have any chance of making the final line-up. Zestful ($13) will represent the stable in Saturday’s Group 2 Sheraco Stakes (1200m) as she nears retirement: “This may be her last start for the time being, but there is a chance she will come back into work after being mated with a stallion,” Lees said. Go Benny ($8.50) has been nominated for Friday’s Tuncurry-Forster Gold Cup (2100m), but will most likely run on the Kensington track tomorrow in the Benchmark 70 Handicap (2400m), with Christian Reith his rider.